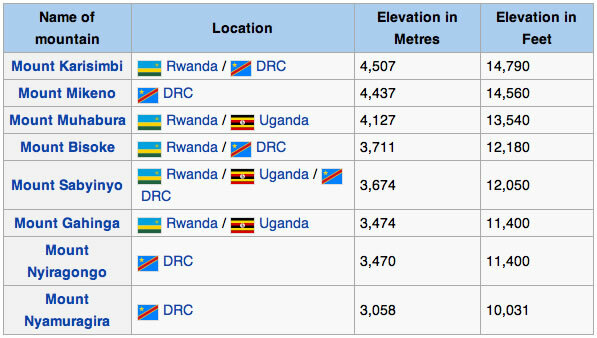 The name “Virunga” is an English version of the Kinyarwanda word “ibirunga”, which means “volcanoes”. 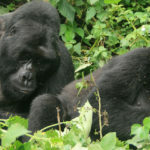 It is here in Volcanoes national park that Dian Fossey habituated mountain gorillas that have made Rwanda famous. 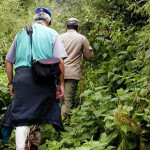 The beautiful terrain and the lush equatorial rainforest whose bamboo section form the natural habitat for the celebrated mountain gorillas, the endangered golden monkeys and the colorful albertine Rift endemic birds are a magnet to the various visitors from all over the world. 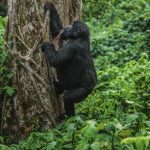 As you get to Musanze, the stunning backdrop of Karisimbi, Mikeno, Sabyinyo, Mgahinga and Muhabura , Bisoke volcanoes are a big spectacle. 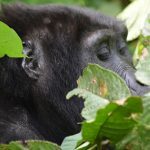 For the lovers of Mountain gorillas, Volcanoes national park is a place to go for gorilla tours. 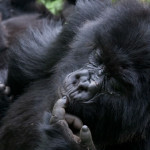 The national park is a home to 10 gorilla families which togehtrher makeup a qaueter of the world’s mountain gorillas. 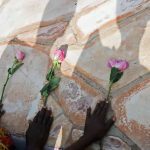 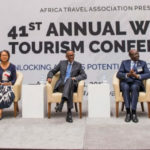 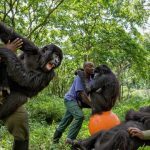 Its one of the four national parks which shelter mountain gorillas together with Virunga national park in Democratic Republic of Congo, Bwindi impenetrable forest national park and Mgahinga gorilla national parks in south western Uganda.